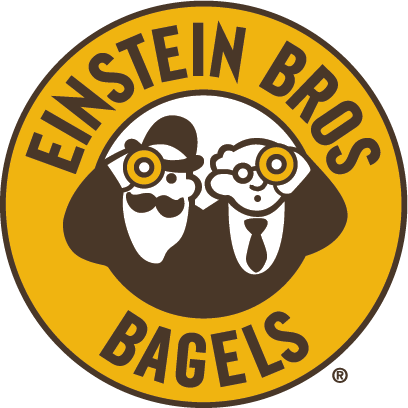 Coffee & Bagel Brands – The best coffee from Caribou Coffee and the best bagels from Einstein Bros. all under one roof. You're welcome world! At Coffee & Bagel Brands we believe in the power of &. We love our coffee and we love our bagels. And we know our guests do too! Imagine the power of the greatest bagelries setting up shop with the most beloved coffeehouse – and that’s exactly what we did. Our purpose at Coffee & Bagel Brands is to create Bright Spots for our guests and for each other. This is all about making someone’s day. When we can do that consistently, it has the potential to ripple out to the wider world making better days and even a better world. 297 international franchise stores in 11 countries. Bring your passion, hard work and excellence to a company that values YOU! Diversity: Our policy does not discriminate based on race, creed, color, religion or sexual orientation. Our benefits package includes domestic partner benefits for those employees who work more than 20 hours per week. Our purpose at Coffee & Bagel Brands is to create Bright Spots for our guests and for each other. A Bright Spot is all about making someone’s day. When we can do that consistently, it has the potential to ripple out to the wider world making better days and even a better world! These are our heart statements that describe the ways we bring our purpose to life through how we think, act and interact. Our Purpose & Heart is at the center of how we work and how we treat each other and our guests. It’s more than just a set of words to memorize, it’s the power of what we can accomplish together. We embrace our unique self and feel confident to bring our true self to work. We recognize and appreciate each other’s differences. Our dynamic personalities have the potential to create a Bright Spot in someone’s day. We lead and drive. We take calculated risks, embrace new approaches and always have each other’s back while we are doing it. We will always do what is right. We are focused on our guests and align our priorities to create Bright Spots. Life is meant to be fun – even at work! Wherever we are and however we can, we make room for laughter, joy and the fun moments in life. We don’t take ourselves too seriously. But we do take our coffee and bagels seriously!